Chelsea have four points from five Premier League games and the world is at its end. The media have created a storm from what is surely a blip before normal service is resumed and bigger spending teams, of which Chelsea is one, rise up the Premier League table. 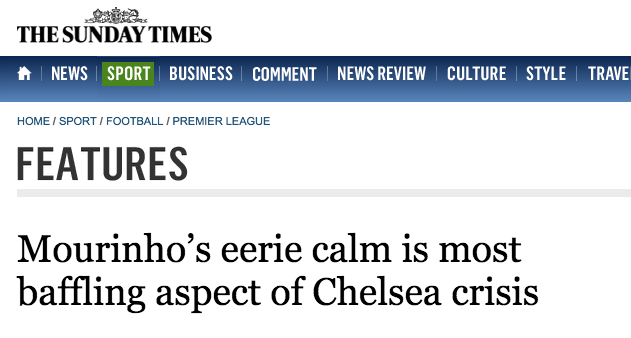 The media are focused on Jose Mourinho, Chelsea’s talented and irritating manager. JM: Roberto next time tell me [to] go before you because we have to travel. Not exactly raging at Martinez, is he? It’s more a cry of despair, a man losing his cool.